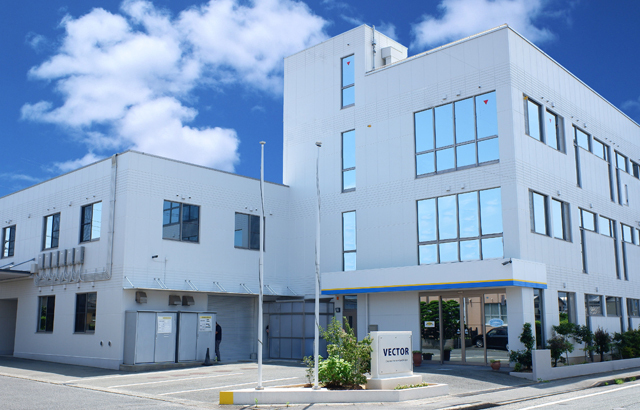 ﻿ Company Profile | Development, Design, Sales | Vector Co., Ltd.
Design, development, sales, installation, servicing of Marking Machine, Electronic Micrometer and environment-related product. Aisin Seiki Co., Ltd., Aisin AW Co., Ltd., Amada Co., Ltd., Isuzu Motors Limited, Izumi Ind. Co., Ltd., Enshu Limited, OKK Corporation, Kawasaki Heavy Industries, Ltd., Keihin Corporation, Kanzaki Kokyukoki Mfg. Co., Ltd., Komatsu NTC Ltd., JTEKT Corporation, Shoda Techtron Corp., Showa Corporation, Suzuki Motor Corporation, Sumitomo Light Metal Industries, Ltd., Daido Steel Co,. ltd., Daihatsu Motor Co., Ltd., Denso Corporation, Toyota Motor Corporation, Nissan Kohki Co., Ltd., Nissan Motor Co., Ltd., UD Tracks Corporation, Hitachi Automotive Systems, Ltd., Hitachi Ltd., Fuji Heavy Industries Ltd., Bosch Corporation, Honda Motor Co., Ltd., Panasonic Corporation, Mazda Motor Corporation, Mikuni Corporation, Musashi Seimitsu Industry Co., Ltd., Yamada Manufacturings Co., Ltd., F.C.C. Co., Ltd., IHI Corporation, NTN Corporation, etc. Copyright(C) 2013 VECTOR Co.,Ltd. All rights reserved.